Happy Friday dolls! Sorry for my absence yesterday, it was the last day of our photo shoot for work and I really wanted to buckle down and get all the shoots we needed and try to get some bonus ones in. I can't wait to see the final results, the location was gorgeous and everyone worked really well together so I'm hoping they turned out amazing! After running around as much as I have the past three days I am totally ready for the weekend! Let's jump on into my Friday favorites, shall we? 1 // This cute off the shoulder dress is going to be perfect for my beach vacation the end of this month (eek!) and you can't beat the price! 2 // Seriously, how adorable are these mimosa Soludos?! We all know how much I love a good mimosa, now I can have cute espadrilles to show it off. Or does that make me look like a lush? Oh who cares? They're so cute! 3 // I tweeted about this brush earlier in the week and I had to post about it on here too! My hair gets super tangled, especially when it's wet, and I was going to buy the DryBar detangling brush but after reading a few negative reviews about it I decided to go with this one instead. So far I am obsessed! It's so gentle on my hair and I've noticed my hair shedding less since using it. 4 // This Gigi crossbody bag is perfect for vacations. And they currently have free personalization and you get a free personalized bag tassel with purchase! 5 // Love this top! The peplum hem, the boho vibe and the super cute cutouts? All so perfect for spring and summer! Happy Friday! OMG those shoes are so adorable!! Have a wonderful weekend! Those flats are adorable! And I saw your snap about the brush--I've been using a version of the wet brushes that my MIL got for me and I love it too! Such a difference! Glad that the work trip went well!! Hopefully you can relax some this weekend! Those shoes! My hair is super tangled, too, and I'm happy you like this brush! I've been needing a new one! Get some rest this weekend, girl! Happy Friday! i've been loving your snaps at your job! so fun! i LOVE that brush. I bought one for the girls i nanny for and it is the only thing that helps with tangles. i want those shoes!!! YES to that off the shoulder dress! Such a great price!! Omg, those mimosa espadrilles are to die for! So stinkin' cute! I'm all about my tangle teezer--it really is so gentle! Happy Friday girl! I've had my eye on that crossbody too, I just need to get it! Loving those shoes too. Hope you have a great weekend! My wet brush is on its last leg so I definitely will check out that brush. Such cute picks! I love that dress and shirt. Hooray for the weekend right?!? i bet that brush is awesome! i have the wet brush which works wonders on my hair but that one is good for travel i'd say. i think you HAVE to have those soludos. you know i have the pineapple ones and i maybe (maybe?) just got the lemon ones because i'm obsessed with bey's lemonade. :) i lastly love that dress! it's perfect for vacay! great pick! Saw that brush on your snap and I was so intrigued! I need to try that!! And those mimosa shoes I DIEEE!! Need them! I'm LOVING those mimosa espadrilles, they're too cute and perfect for the weekends! Thanks so much for sharing and I hope you have an amazing and relaxing weekend ahead! Those mimosa shoes are the BEST things I've ever seen! So perfect for us girls!! Seriously...those shoes are the cutest things EVER!!! Love the crossbody bag too! That Gigi bag is perfection! Love the color! Happy Friday! And saw that brush on your Snap - may need to give it a try! I've been loving all the off-the-shoulder tops and dresses floating around. That white one is perfect for a beach vacay! The detangling brush sounds awesome is the price is pretty reasonable. Happy Friday! Hope you get some relaxing in this week after your busy work week. Aah stop tempting me with more Gigi! Love the color of that bag though! Lush or not, those espadrilles are adorable and a must ;) Happy weekend!! Absolutely smitten with those shoes! If I can't drink them, I might as well wear them, right?! Great finds! The place that y'all were shooting looked so pretty, but I'm sure that you're ready to just relax this weekend! I love those Soludos so much, and would be perfect for brunch! 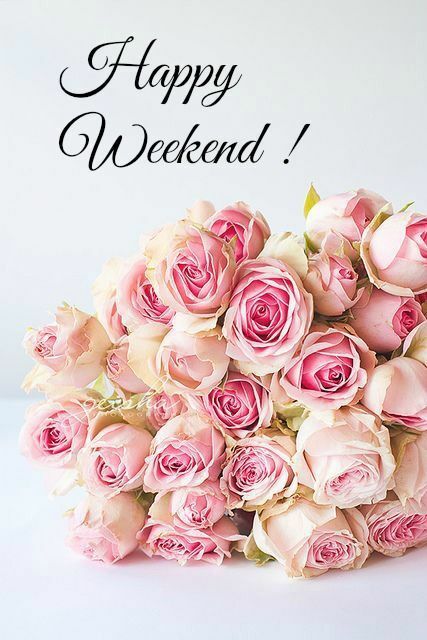 I hope that you have a great weekend! How stinkin' cute are those shoes?! Definitely looking into that comb, too. Happy Sunday, lady! oh my gosh those mimosa espadrilles are flipping adorable. hmm, my hair tangles when it is wet as well, i normally go to sleep and brush it in the morning to avoid it, but i might check out that brush because i definitely need to shed less as well haha. its a wonder i have any hair left!